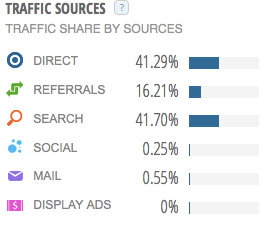 You already know that more traffic equals more exposure, more customers and (most importantly) more cash. SEO is a risky nightmare. And it’s almost impossible to get a word in edgewise with the deafening social media conversation. Fortunately for you and your marketing budget, there are a few little known hacks to drive more targeted traffic to your site…without breaking the bank. Fun fact: forums are the most underutilized traffic source online. Forums are a digital watering hole of potential customers. Even better: the people on the forum are begging for your help and expertise. It’s the perfect place to show off your knowledge to a new audience. …forum marketing is traffic on tap. Sure, 167 visitors isn’t anything to get too excited about. But keep in mind that I just copied and pasted content that I already published on my site. The entire process took less than 5 minutes. I’ll trade 5 minutes for 167 targeted visitors all day, every day. And I still get a trickle of traffic from the forum post almost daily. 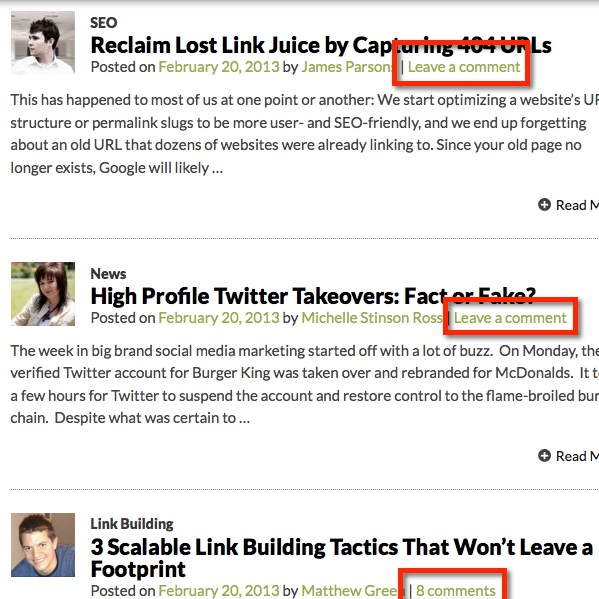 That’s something that can’t be said for guest posts…which take a lot more time and effort. And because these people were sold on my knowledge before they visited my site, they devoured my content. Good luck getting that level of engagement from a paid click! Key Takeaway: Find popular forums and your niche and join the conversation. Even if you don’t feel like helping newbies with their boring problems, you can post your best content to the forum. You’ll get a flood of targeted visitors almost instantly. And if you build a reputation as one of the forum’s leader, you can funnel traffic from the forum at will. It’s time to get smart about guest posting. A link from an authority site is nice…but it’s only a matter of time before Google devalues guest post backlinks. That’s why it’s crucial that you stop looking at guest posting as a link building strategy. Instead, look at it as a way to drive traffic…that also happens to have a decent SEO bonus. The best way to squeeze the most traffic from every guest post is to properly evaluate a site’s potential for sending targeted, hungry referral traffic. Comments are one of the best barometers of your guest post target’s traffic potential. In my experience, guest posts published on sites with lots of comments generate significantly more traffic than those that don’t. That’s not many comments for such a leader in the industry. …I found myself with a trickle of traffic and a handful of new subscribers. 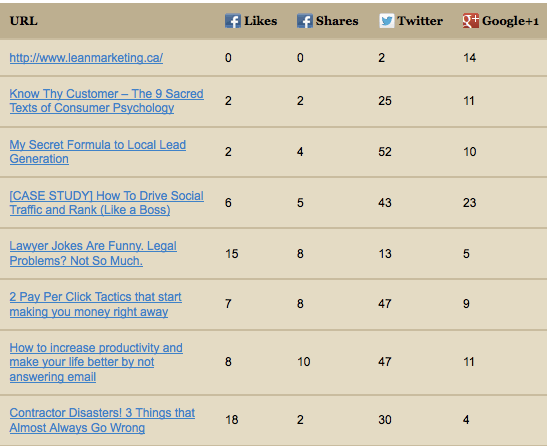 The week before, I published a guest post on a much-less popular SiteProNews.com. …I got significantly more traffic and subscribers from that post. Another way to find out how much traffic potential a site has is the amount of social shares posts tend to get (although as you saw in the example above, this metric is far from perfect). In general, more social shares mean more engagement and more potential traffic from those social shares. The best way to get a bird’s eye view of the site’s social media potential is to use the Blog Social Analyzer tool. In general you want to see a lot of direct and search traffic. Direct traffic signifies that people regularly visit the site to get new information and advice. This is the type of hungry traffic that clicks through and converts. Search traffic is also important. Lots of search traffic means that the site has enough juice to rank your guest post, meaning more long-term traffic from your post. Key Takeaway:Spend a few extra minutes evaluating a site’s traffic potential before sending over a post. Doing so can get you a much better guest blogging ROI. This old business adage speaks volumes to today’s tired traffic generation tactics. Most people are busy seeing who can shout the loudest on crowded platforms like Twitter and Facebook. But savvy shoestring marketers are going to where their customers are….but their competition isn’t. 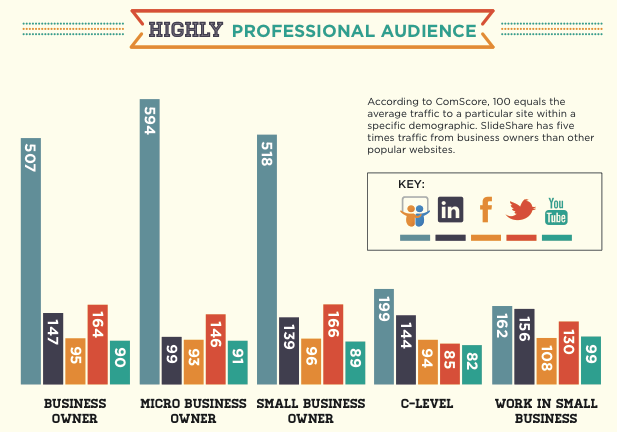 Slideshare is an underutilized platform for driving small business and marketing-related traffic. You don’t need to re-invent the wheel to get exposure. Just turn some of your best content into a slideshow, upload with unique content, and watch the traffic roll in. And according to a case study published by Gregory Ciotti at SmartPassiveIncome.com, a single presentation brought in 2,000 new visitors in just a few days. Good luck getting that with a Tweet! Key Takeaway: Slideshare is the sleeping giant of traffic generation. If you’re in the business or marketing niches you need to start re-purposing your content onto Slideshare. If you’ve been in SEO for a while you already know how amazing it is when you come across a high volume keyword with almost no competition: it’s like a hot knife through butter! Toss up some decent content, hit it with some links and watch it rise to the top of Google. Sadly, with the proliferation of keyword tools like Market Samurai, finding these hidden gems is harder than ever. Which means a pricey dog fight for the top spot in Google. Fortunately, there are two sites that you can use to find zero-competition keywords. Because they don’t draw from the Google Keyword Tool, they show you keywords that usually fly under the radar. UberSuggest scrapes the keywords that you get from Google Suggest. And because this data doesn’t come from the Google Keyword Tool, you can find keywords that you’d otherwise never find. You’ll see a list of keywords that come from Google Suggest for the root keyword…and every letter in the alphabet! This site is an absolute gold mine of long tail keywords that’s 100% free to use. 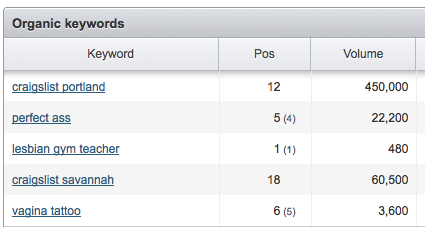 SEMRush shows you which keywords your competitors are already ranking for. In my experience this is an awesome tool to find brand name keywords…which get a ton of searches but don’t usually show up in Google’s Keyword Tool. Just make an account and put in one of your competitor’s sites. And you’ll get a list of the keywords that they’re ranking for. Well…I told you that you’d find some interesting keywords! Key Takeaway: While Google’s Tool is useful, it’s not the only way to find new keywords. These two tools can often take you in directions the official tool can’t. Traffic generation doesn’t have to be the bane of your existence. By thinking (and marketing) outside the box, you can drive traffic without having to stand toe-to-toe with Fortune 500s. I know that I don’t know everything (unless it’s about the Red Sox). What little-know traffic strategies work for you? The weirder the better! If you want more quality backlinks (and who doesn't? ), then you should check out Brian's site, Backlinko. There you'll find next-level link building strategies that you can apply to your business today. And if you're in the mood to Tweet, then follow Brian on Twitter for cutting edge SEO information. Even though forum marketing has been around forever, and while everyone basically knows about it, so few still tap into it. Is it because it seems less glamorous? Too time consuming? I am not sure. I mentioned in one of my first posts on this blog that I supported myself and financed my first business with forum marketing. Almost 3 years later, I am still getting leads from those original marketing efforts I did. Today I see people doing the same thing on the same forums, and I know it is working for them too. Good call on UberSuggest Brian – I use this tool all the time. I think people ignore forum marketing because it’s not “the next big thing”. Just look at how people went nuts over Pinterest last year, spending thousands on staff and infographics for an untested platform. While people wasted their time repinning cute cat pictures, people like us continued to post on niche forums and got crazy targeted traffic. I agree that it does seem like a lot of work. But if you know your stuff it’s just a matter of either a) copying and pasting blog content or b) spilling the knowledge that’s already in your head into the forum thread. Good list of ideas here to try out! As you say yourself all these sources might not send tons of traffic individually but if you do them effectively, and do them regularly, they can send quiet a lot combined. Thanks Marko. The other advantage of this approach is diversity. No catastrophic update or change in a single site´s TOS can take you out! UberSuggest.com appears to be broken. Although UberSuggest.org works fine for me! Great post man, I <3 this blog! Yes! exactly the more traffice the merrier. These ideas are good things to try out. I actually like the one listed in number 4: Discover Keywords Your Competitors Don’t Know About – sounds very smart at the same time competitive. I couldnt wait to use these stuff as surely it will lead to a positive outcome. These are the most effective and important tips need to consider for increase more traffic for your business. It is more effective information. WinX HD Video Converter Deluxe Crack is an excellent software that helps you convert videos in multiple formats. It utilizes the ultra HD video acceleration technology through which it is quite easy to convert the videos in any format. It utilizes NVIDIA, Intel QSV, and AMD for encoding and decoding of the videos.